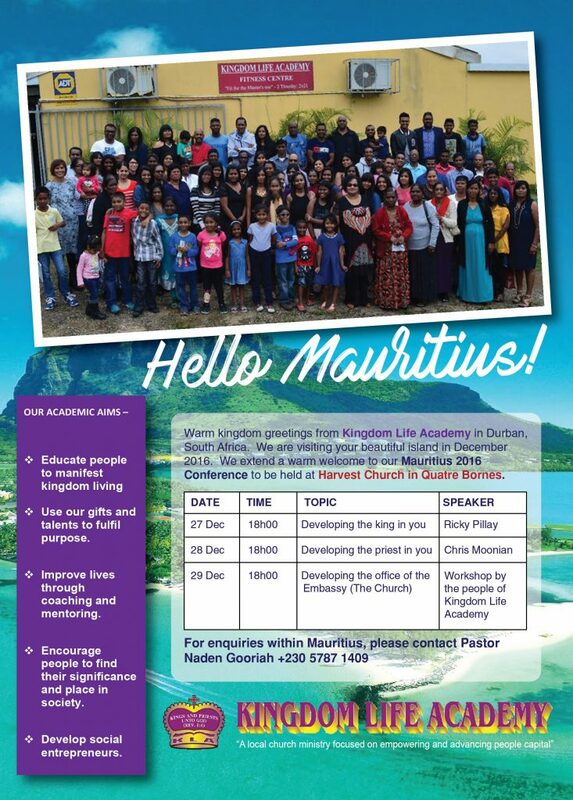 Kingdom Life Academy will be in Quatre Bornes, Mauritius for the 2016 Personal Development Conference. Delegates from various fields are attending the conference to discuss and share ideas with Christians in these fields or considering venturing into these areas. The delegates along with their families are travelling to the event, in total 110 people from Durban, South Africa. This is a groundbreaking event as it’s the first time that a church has accomplished such a feat. We look forward to sharing our experience with other churches to inspire and motivate them to continue standing in faith for their needs. Click here to view our workshop topics.